Short documents don’t mean simple translations, and birth certificates are no exception. Written in formal language, these most-basic legal declarations require knowledge of culture for effective translation. This knowledge about the culture and the tradition of a place can later be implemented during a Birth Certificate Translation or translation of any such formal or informal documents. Here are some examples of cultural differences you might encounter when you translate a birth certificate, as well as ways to approach translating them. The most basic item on a birth certificate also has a lot of variations. The order, number and significance of names vary from culture to culture, and this can make names tricky on birth certificates. For instance, in Myanmar, there has traditionally been no patronymic or matronymic naming system. Children received one name, and there was no “family name” as found in the United States. More recently, this has started to change, but older birth certificates may lack a last name as a result. How to translate: While strictly speaking, in the United States a person can legally have as many or as few names as they want, when dealing with official paperwork, it helps to have at least two: first and last. That doesn’t mean you should add or remove names in the translation: you should stay true to the source document. However, your client may need to consider how they want to present their name within the legal system. 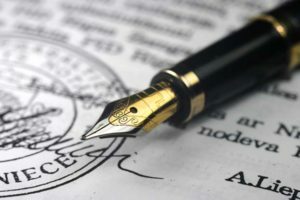 How to translate: If you encounter a birth certificate without any name, your client must provide extra documentation to demonstrate that they are the owner of the certificate. In cultures where you can wait to name a child, the birth certificate may include two dates: the actual date of birth, and the date the certificate is drawn up. This also occurs in countries where parents may have to travel a distance to get to the nearest registrar. How to translate: Make sure you make a distinction between multiple dates on the certificate, so it’s clear which is the actual date of birth. In cultures with a strong patriarchal tradition, only male family members can declare the birth of a child and this shows up in the language of the birth certificate. For instance, in Nepal, only a senior male household member can register a birth, and in Peru the father must be present for the birth to be declared. How to translate: As long as someone has witnessed the birth, different ways of reporting a baby don’t usually influence legal validity or translation requirements for a certificate. If you encounter a cultural difference not on this list, make sure to consider it above all in a legal context. What does the client need the translation for — immigration, identification, or another purpose? Does the original meet the requirements of the target culture for that context? Will your translation communicate that? Answering these questions should help you provide an adequate translation for the client and provide any necessary extra documentation. Have you encountered any interesting cultural differences in certificates you’ve translated? Tell us about it in the comments. Cultural differences occur not only in birth certificates but also in marriage certicates. In birth certificates issued from Islamic countries , the date of birth is written in the Hijri Calendar which differs from the Gregorian one and is incomprehensible in the western world. How do we solve this problem : by using the internet conversion. In the Middle East , the norm is to put down the baby’s name , father’s name, grandfather’s name then the surname. In the western world, the second name is presumed yo be part of the baby’s name. When we translate the certificate , we clearly identify that to avoid confusion. The same thing occurs in marriage certificates when it comes to names and dates. In addition, some cultural expressions do not correspond to the western culture such as dowry ( an amount of money to be paid for the bride as a gift) or a delayed payment of a certain amount of money if the couple divorce in the future. It should be translated. However the translator can put down a translator’s note ate the end of the translated document explaining the cultural expresions. Interesting! Thanks for bringing up marriage certificates — they definitely have their own set of cultural factors. On certificates from Togo, there’s a space for “Coutume” meaning “Custom.” Couples get married in their community according to the traditions of their tribe, and when they declare the marriage (after the fact) to the registrar, they give the name of the tribe to show which customs they followed. There’s also a space to declare whether it’s a polygamous or monogamous marriage. Like you mentioned with dowries, these cultural aspects can be explained with a translator’s note. Interesting article! Thank you for mentioning these types of certificates. Cultural differences occur both in marriage certificates and birth certificates. On marriage certificates from Iran, there is space for type of marriage. There are different types of marriage, for instance type of marriage: permanent. Not only that but also a wife may ask for certain conditions in case her husband wants to divorce her in the future. A permanent marriage? That’s definitely interesting from a translator’s point of view. You could translate it, but would it still be legally binding in a different country? Yes, it will be legally binding in a different country. There are two types of marriage in Iran and Iraq. A temporary mut’ah marriage differs in a few ways from a permanent, conventional contract marriage. In a conventional Islamic contract marriage a man and a woman plan to continue the marriage permanently. In a mut’ah marriage, however, a predetermined time period is set in the contract and divorce can never be granted to either party. The specified time period shall be observed by both parties, whether it be a day, two days or a year or more, however, if a couple wants a permanent relationship they contract a conventional marriage. Thank you very much for all this interesting information. I’ve been doing some reading about mut’ah marriages, thanks to your comment, and I’m learning a lot. It still seems like you might enter into some questionable legal territory if one partner went to a new country and requested a divorce. It does make sense that it would remain legally binding in the original country, but how would a foreign court approach it? I guess that might be a question for an international lawyer. We had to write quite a detailed footnote for a student in France because the name-format on the health-card absolutely required him to have a proper ‘surname’ !